This is a modern pagan's guide to living in harmony with nature and the seasons. 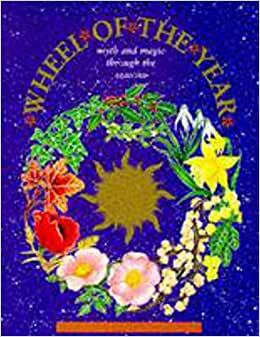 It covers the turning points of the year, including the solstices, equinoxes and major pagan festivals, with explanations of their significance in everyday life. This is an excellent book for people who want to get closer to the natural world. It systematically (but charmingly) goes through each of the seasons, listing legends and traditions, suitable oils and incense, activities to do alone or with your family, crafts and foods, and meditations for the season. 5.0 out of 5 starsA must have for any library! A must have for anyone interested in the wheel of the year. Has tons of things to learn and do including recipies, handcrafts, info on chakras and more! A must have!